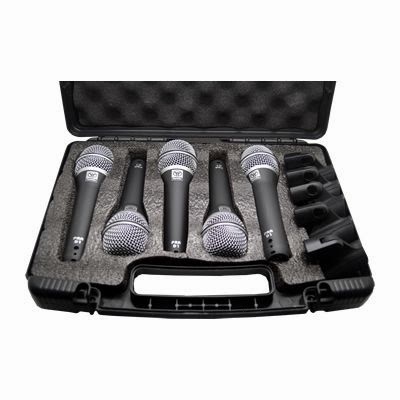 The Superlux PRA-D5 features 5 PRA-D1 dynamic microphones with 5 stand adaptors packaged in their own hard shell carrying case for easy handling and storage. Each PRA-D1 super cardioid dynamic microphone is specifically designed for use on the professional stage. grill. 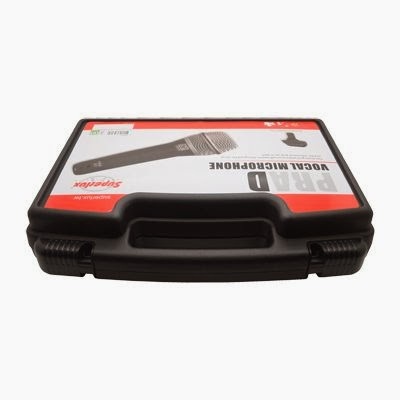 The PRA-D1 has excellent handling noise characteristics and its all metal construction features a durable shock resistant zinc alloy die-cast housing. 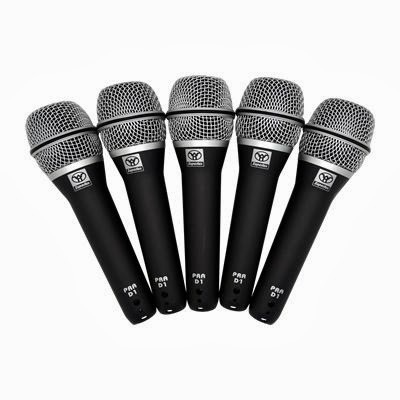 These mics are rugged performers and come backed with a 2 year warranty. The PRA-D5 is an economical solution and represents a superb value for a variety of sound reinforcement applications.